Aldi is gaining ground as one of the most popular supermarkets in the UK and it has totally transformed the way Britain shops. The grocery chain offers a solid range of items at great prices, including fresh produce. Aldi stores can be harder to find, though, compared to pricier alternatives like Sainsbury’s and Tesco. A trip to Aldi often means an inconvenient journey and a lot of time spent in a hectic store. Not the best shopping experience. But now you have Pinga. Our service makes it amazingly simple for you to get the Aldi products that you need. Simple, swift and secure, Pinga can make your life simpler and more convenient. It is easy to get started. Simply download our lightweight app and broadcast your request to our network of trusted Pinga Partners. You will receive a response almost immediately and confirm the details directly with your Pinga Partner. Then it’s just a matter of paying securely through the app and waiting for your quality Aldi products to arrive. Worried about high minimum order amounts? Don’t be. When you shop with Pinga you order just what you need and nothing more – don’t worry about inflating the size of your basket for no reason. Every Pinga Partner is committed and courteous, working on your request to give you a great experience. We can get you products from anywhere you like: giraffe bread from Sainsbury’s, alcohol from an off-license… anything you need! Getting started with Pinga is simple and we can’t wait to have you on board. To help you get started today, here’s a closer look at our service and how everything works. Pinga delivers any items from Aldi today. 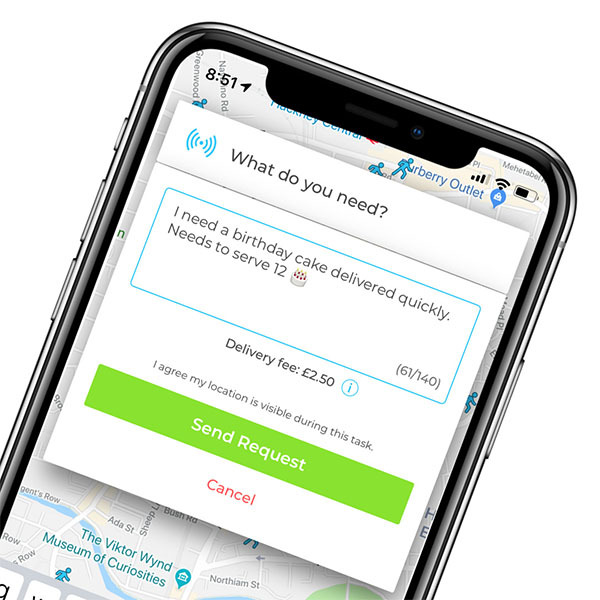 Infact our service normally delivers within an hour, so if you’re looking for same day delivers from Aldi, send your request via the Pinga App. Describe what items you needs to be delivered from Aldi and send your request. Pay securely within the app and receive your Aldi items to your door!